At Woolston Community Primary School we aim to provide a caring happy environment where learning is challenging and fun and where we show respect for each other and the environment. We believe that diversity is a strength that should be celebrated and respected by all those who learn, teach and visit here. We are an inclusive mainstream community primary school for 4 – 11 year olds, with two designated provisions for children with Autistic Spectrum Disorder. Woolston Community Primary is a friendly primary school, located three miles from Warrington town centre. We are an inclusive mainstream community primary school for 4 – 11 year olds, with two designated provisions for children with Autistic Spectrum Disorder. 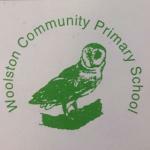 Woolston Community Primary School is a one form entry school. All our staff work hard to ensure that all children feel valued, are achieving their potential and enjoy their learning. We offer a broad and well balanced curriculum in a caring, supportive environment. Our pupils are well behaved, positive and enthusiastic learners. Onsite, the Local Authority host a designated provision for children with Autism. All pupils throughout the school are monitored via our Provision Mapping tool and a class action plan which identifies each pupil’s needs against the four areas of need in the Code of Practice, and also identifies the provision in place for that pupil (staffing, resources, activities, approaches). This is reviewed termly and is the basis for discussion between class teachers and the SENDCo particularly at transition time in July. As recommended in the Code of Practice, there is a graduated model of action and intervention to help pupils who have special educational needs at Woolston Community Primary School. This approach recognises that there is a continuum of special educational need. Where necessary, increasing specialist expertise will be brought to bear on the difficulties that a pupil may be experiencing, therefore ensuring progressively more powerful interventions can be used to meet increasing need. This model also allows the range, type and intensity of interventions to be reduced as a pupil makes adequate progress. Speak to your child’s class teacher who will be able to advise and liaise with the school SENDCo. They will be able to advise and support. The school has an open door policy and we understand that your child’s education is a joint partnership between school and parents. The class teacher in consultation with the SENDCo, parents and young person will discuss and plan the education program. The effectiveness of this will be monitored over time and progress will be reviewed at least termly. The class teacher will continue to inform parents of pupil progress when necessary and will update the SENDCo where appropriate. The Governors will continue to monitor the progress of SEND pupils. School provision maps and action plans identify categories of need and resources are allocated to best fit those needs. Teachers differentiate lessons according to individual pupil needs and where necessary Pupil Passports are generated in consultation with parents and pupils. These detail specific targets, resources and support on an individual basis. Class teachers will share, discuss, and review progress and targets with parent/ carers and the young person at regular intervals. Communication diaries may be used to further support home school liaison and there will be an annual review of progress. Parents may be invited to attend training events to support further learning and there will be open lines of communication between all stakeholders. · Residential trips, including adventurous activities from Y3-6. School SENDCo attends regular SEND training through the Local Education Authority to maintain up to date knowledge of SEND practice. The SENDCo is currently completing the National SENCo Award, which is due to be completed by July 2018. The SENDCo delivers at least 1 staff meeting a term to deliver information on SEND. At Woolston Community Primary School we seek to include all pupils in all activities and will work closely with parents/carers to ensure barriers to participation are catered for. Risk assessments will be shared with pupils and families to ensure correct provision is in place. Woolston Community Primary school is fully accessible for wheelchair users and also has a fully equipped disabled toilet which has a height adjustable changing table and shower facility/wet room. Our school works closely with local secondary schools to ensure smooth transition for all pupils. Careful programmes of transition are created to meet the individual needs of pupils and parents are encouraged to accompany pupils where appropriate. School ensures formal and informal meetings are held to share knowledge, data, progress and any other relevant information/ documentation with the receiving school so that a complete picture of each pupil is shared. Provision mapping and class action plans identify categories of need for an individual, class and whole school basis. Funds are allocated to best meet the needs of pupils and spending is regularly reviewed to ensure the school is utilising funds to ensure the very best practice and support is in place. Following detailed assessment of the pupil, the class teacher, in consultation with the SENDCo, will decide the nature and regularity of individual pupil support. This may be more appropriate as a small group intervention or if the need arises on a 1:1 basis. Support will change according to the ongoing review of need and this will be discussed with parents/carers and the child. Parents will be informed of our home school agreement, which details the expectations of all stakeholders in school. Parents are partners in their child’s education and will be encouraged to access school events and be involved in school life. Our open door policy means teachers are available to discuss concerns either informally through a drop in process or parents may request a formal appointment.